Brand New and High Quality. Converts a single garden tap into 2 outlets. Includes shut off valve to each outlet. Ideal for use with a variety of hose pipe applications. Screw Hose Pipe Splitter 2 way Connector Adaptor Garden Tool Quick Turn Off Tap. Both exits can be turned on and off so if you only want to use one or the other you can. 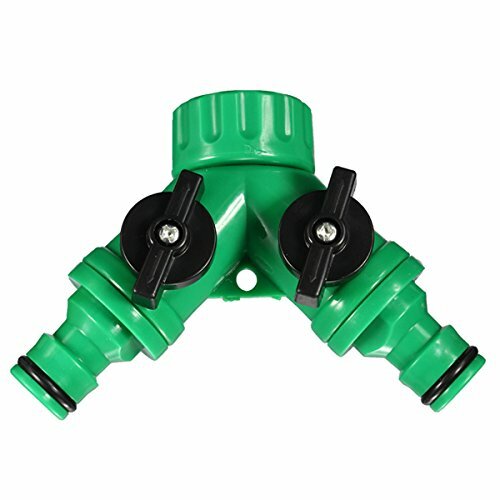 A really useful tool at a great price designed to split the water coming out of your garden tap into two separate hoses. If you have any questions about this product by K.L.T, contact us by completing and submitting the form below. If you are looking for a specif part number, please include it with your message.